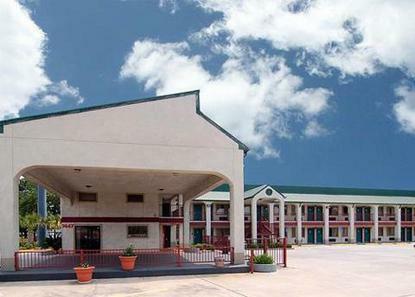 The Econo Lodgeë North is ideally located on Interstate 45, just minutes from downtown Houston. This Houston hotel is minutes from the Houston Zoo, Bayou Place entertainment complex, Six Flags SplashTown water park, the Toyota Center sports and entertainment arena and Reliant Park, home of Reliant Stadium, Reliant Center, Reliant Astrodome and Reliant Arena. The George Bush Intercontinental / Houston Airport is only 10 miles away. High speed Internet access: 2.95/hour, 8.95/night.